Our advocacy work in the UN continues and there are some initiatives and events that we want to inform you about. Thus, although the next High Level Political Forum (HLPF) and therefore the review of SDG 4 is still some months away, it is important to prepare timely for the review of SDG 4. As you all know, the special Goal on Education SDG 4 aims to “ensure inclusive and equitable quality education and promote lifelong learning opportunities for all”. This Goal is part of the 2030 Agenda for Sustainable Development: the “plan of action for people, planet and prosperity”, which comprises of 17 Sustainable Development Goals (SDGs). Reviewing the implementation and progress towards achieving all, and for ICAE specifically SDG 4, its 10 targets and indicators, is significant. There are several important opportunities, activities and occasions coming up in the near future, where ICAE will be active in the preparation, involved in the implementation and personally be present at the events. This post will give you a short introduction to the major events coming up, while further and in-depth information will follow in the next few months, also introducing you to areas and possibilities to getting involved and becoming active yourself. The UNESCO Global Education Meeting, on 3 to 5 December 2018 in Brussels/Belgium, reviewed progress towards the universal global education targets and commitments since the adoption of the 2030 Agenda for Sustainable Development in 2015. ICAE was present during the discussions and part of the exhibition through a stand. It brought together global community together to take stock of progress and identify strategic priority areas requiring political guidance and intervention for the effective achievement of the global Education 2030 Agenda. The Global Meeting was convened by UNESCO in its mandated role as lead agency and coordinator of the Education 2030 Agenda, with support of the Government of Belgium. 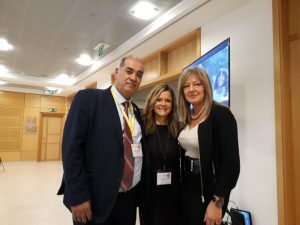 Secretary General, Katarina Popovic spoke in a session with the UNESCO Institute for Lifelong Learning (UIL) and the Global Alliance for Literacy within the Framework of Lifelong Learning (GAL) named “Towards Literacy for all – Learning throughout life and through multiple pathways” . More information on the session can be found here. 8. Increasing investment in education. Also available are a best of video, the full agenda and further information about the GEM here. Africa: http://www.education2030-africa.org/index.php/en/ and the Outcome statement. 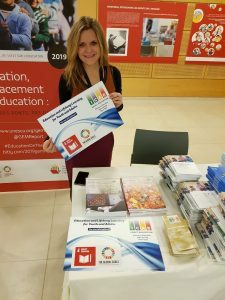 Arab States: http://www.unesco.org/new/en/beirut/areas-of-action/education/sdg4-education-2030-agenda/ and the Outcome Statement will follow soon. Asia and Pacific: https://bangkok.unesco.org/theme/leading-education-2030 and the Outcome Statement. 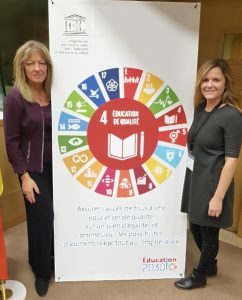 Europe and North America: https://en.unesco.org/europe-and-north-america-education-2030-consultation , the Outcome Statement will follow soon. Latin America and the Caribbean: http://www.unesco.org/new/en/santiago/education-2030/and the Outcome Statement. The Global Education Meeting has furthermore the aim to share outcomes with the appropriate overall global follow-up and review mechanisms for the SDGs and is thereforealigned with the meeting schedule of the High-level Political Forum (HLPF) on sustainable development. ICAE has already been part of the High-Level Political Forum (HLPF) for three times. This is the main UN platform on Sustainable Development and has a central role in the follow-up and review of the 2030 Sustainable Development Goals (SDGs) at the global level. Under the auspices of ECOSOC, the HLPF examines a set of goals annually, as well as their two-way interlinkages. The 2019 HLPF review, from 9-18 July in New York, will be devoted to the theme “Empowering people and ensuring inclusiveness and equality”. This includes an in-depth review of SDG4 together with the following goals: SDG 8 (Decent Work and Economic Growth), 10 (Reduced Inequalities), 13 (Climate action) and 16 (Peace, Justice and Strong Institutions), paying particular attention to the issue of migration and forced displacement. This will also be the first four-year cycle against which SDG 4 and its interlinkages with other SDGs are reviewed comprehensively during the 2019 United Nations General Assembly Summit. As part of its follow-up and review mechanisms, a central feature and basis of the HLPF are the voluntary national reviews (VNRs) that it receives from Member States on their implementation of the 2030 Agenda for Sustainable Development and the SDGs. Member states are invited to conduct regular and inclusive reviews of progress at the national and sub-national levels, which are voluntary, country-led and country-driven, undertaken by both developed and developing countries. The voluntary national reviews aim to facilitate the sharing of experiences, including successes, challenges and lessons learned, with a view to accelerating the implementation of the 2030 Agenda. In 2019, 51 countries (10 for the second time) have volunteered to present their national voluntary reviews to the HLPF. You can look the list of countries here and see if you country will submit a VNR as well. Here you can find the 2018 Synthesis Report of the voluntary national reviews (VNRs), summarizing 46 countries VNR reports as presented to the High-Level Political Forum in July 2018. The HLPF and reviews are state-led, involving ministerial and other relevant high-level participants, however should also involve multiple stakeholders and have the aim to mobilize a multi-stakeholder support and partnerships for the implementation of the SDGs. Major groups and other relevant stakeholders (MGoS) are the main channel for civil society engagement in the HLPF and the UN Sustainable Development Agenda. 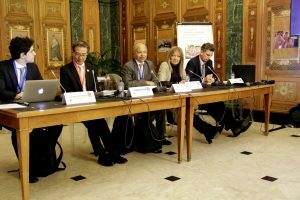 ICAE is an initiator and Organizing Partner (OP) of the Education and Academia Stakeholder Group (EASG), which is open to all organisations andbrings together human rights-based education and academia organisations and networks to engage with the monitoring and review of the SDGs. The Group is organized also by the Global Campaign for Education,Education International and the European Students’ Union. To get involved with ICAE in the Education and Academia Stakeholder Group (EASG) you can contact us directly, or through the EASG Website: http://www.educationacademia.org/. ICAE advocates at HLPF in the framework of the EASG for the commitment to the universal right to education and learning and how it can support the achievement of other SDGs. ICAE underlines at all these events that the essential role of adult learning and education (ALE), which includes youth and older adults, to the implementation of SDG 4 and across the SDG agenda needs to be amplified and supported. Because education plays a key role in building sustainable, inclusive and resilient societies. UNESCO has launched the 2019 Global Education Monitoring Report (GEMR), called “Migration, displacement and education”. Read more. You can download the Data Book on the Global Education Indicators here.